JAPANESE CULTURE INSPIRES VALENTINO PRE-FALL 2019 COLLECTION! Pierpaolo Piccioli found the perfect location and inspiration for his Valentino Pre-Fall 2019 show: Tokyo. Japanese culture inspired the stunning collection which largely danced on a red palette. 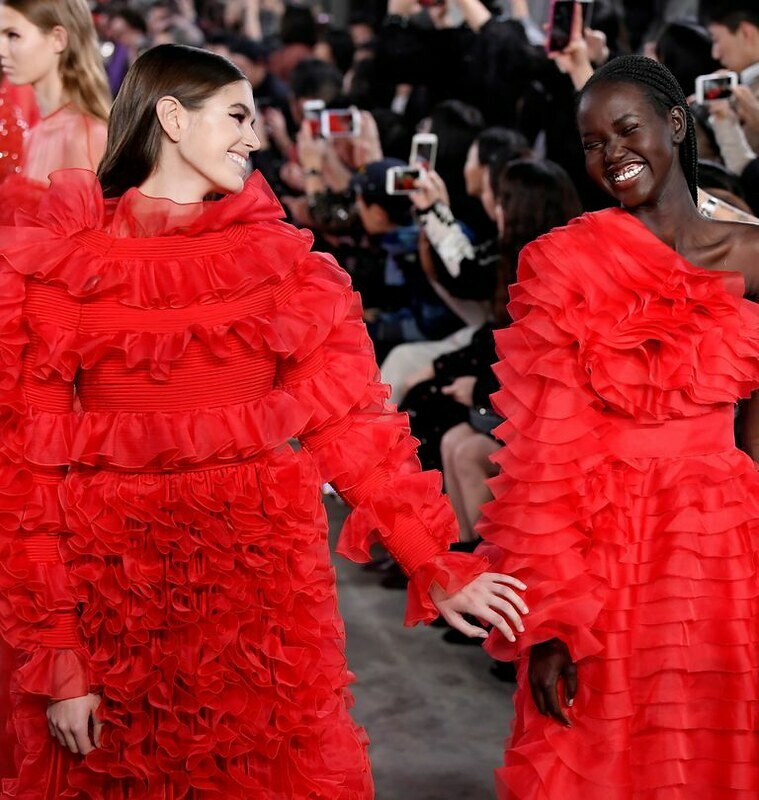 Top models Kaia Gerber and Adut Akech stole the show in near-matching, ruffled red gowns. There was romance in the air as red rose petals floated onto the runway for a dramatic outing that gave a nod to Japanese elegance and grace.